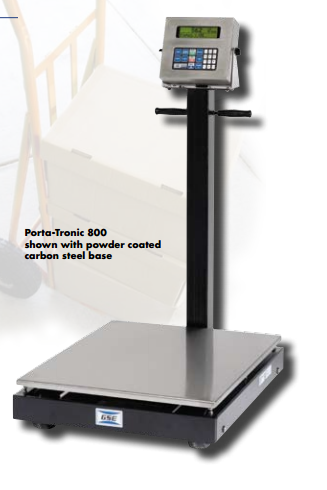 Designed for portable weighing applications, the Porta-Tronic 800 provides easy mobility for use in multiple locations. The stainless steel weighing surface is a standard feature. Customers can choose either a powder coated carbon steel or a stainless steel base to provide the durability needed in light to heavy industrial environments.